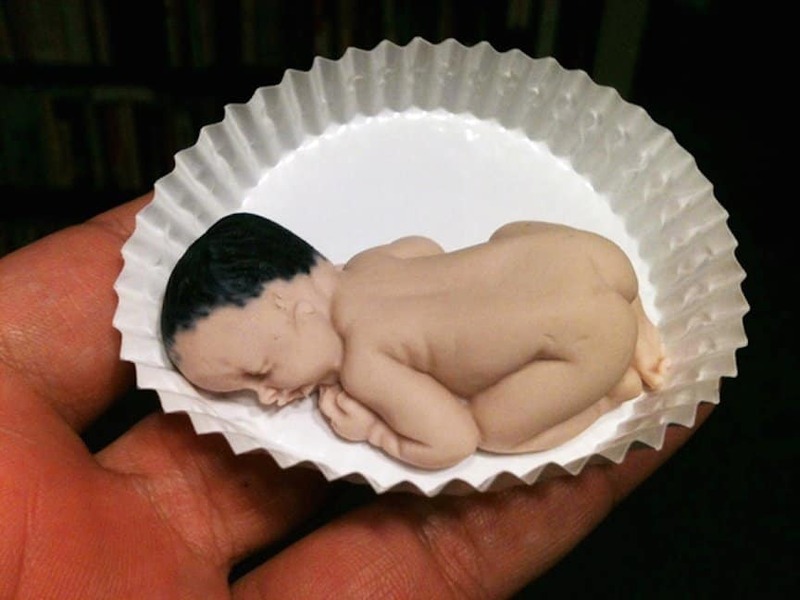 It used to be that eating babies was something left up to ghoulish monsters. 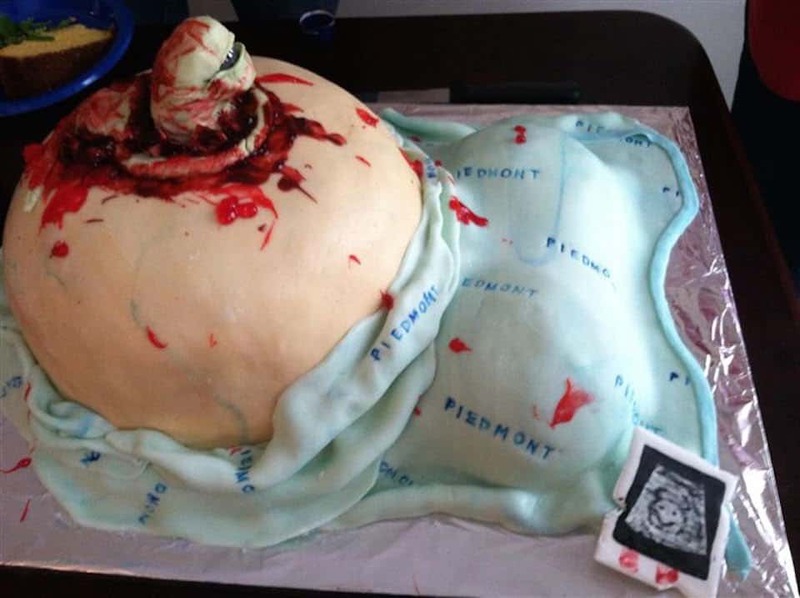 Now it seems that rich people who have the cash to spend on anatomically correct desserts can eat them too. 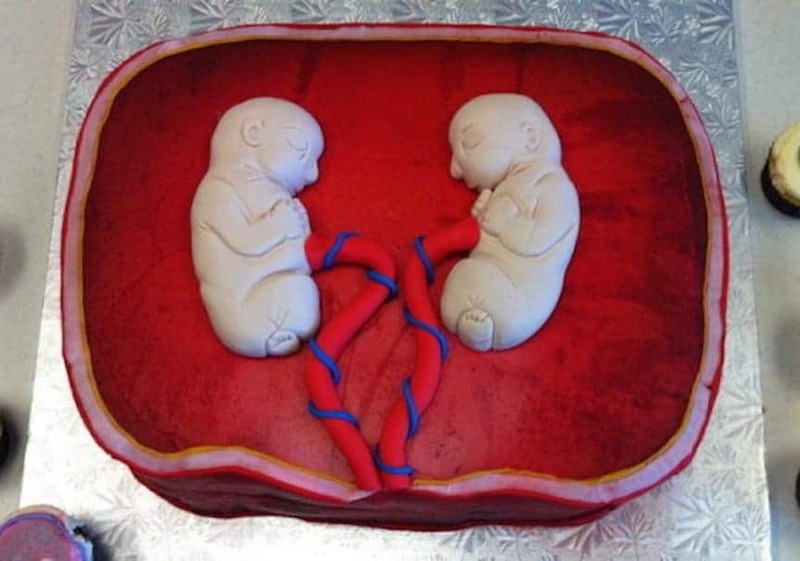 Just because it’s a cake doesn’t mean it has to be sweet. 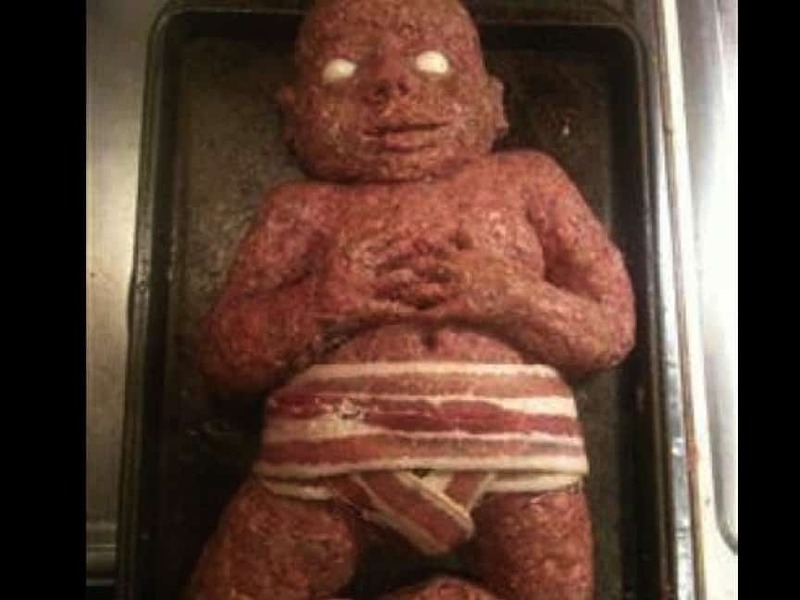 Then again, that doesn’t condone the making or consumption of baby-shaped meat cakes with dead eyes and a bacon diaper. All mothers worry at some time or another that they will get stuck with an ugly baby. 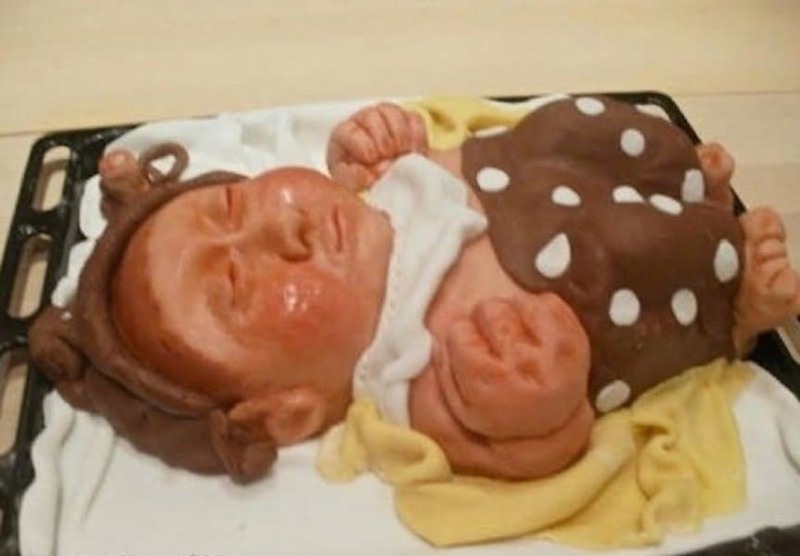 It probably didn’t help the receiver of this cake that the baby on it looks like a forty year-old dwarf. Yes, having a baby is a long, arduous, and painful endeavor. It’s quite another thing to remind a mother to be that she’s going to look like she’s been possessed by a demon when she goes into labor. So you probably don’t know how to read or speak Danish, but that’s okay. The plump blonde mother-in-progress midway through a bloody childbirth speaks loud volumes. Everyone poops and that goes almost doubly so for babies. But just because it happens to be a fact of life doesn’t mean anyone would want to eat it. 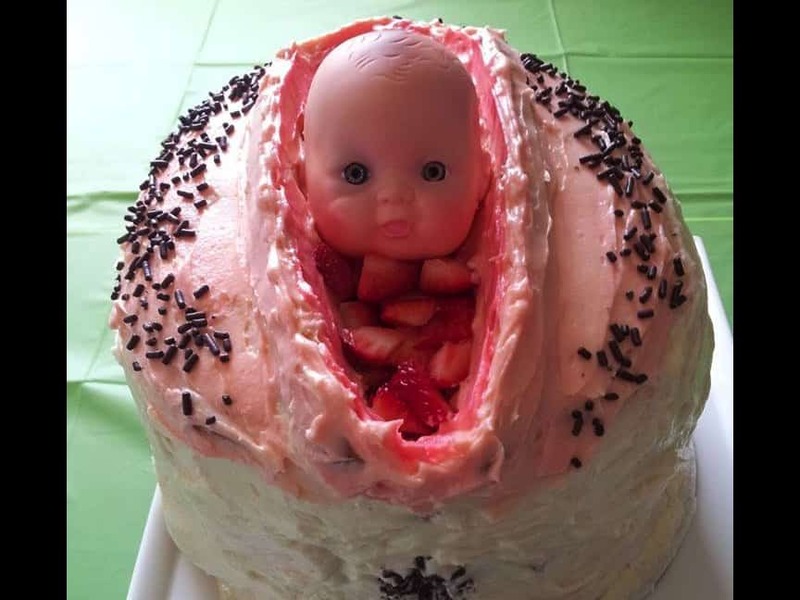 As disturbing as this cake appears, it might have been forgivable. Then again, the scissors and the lengthy umbilical cord up the creep ante to maximum. 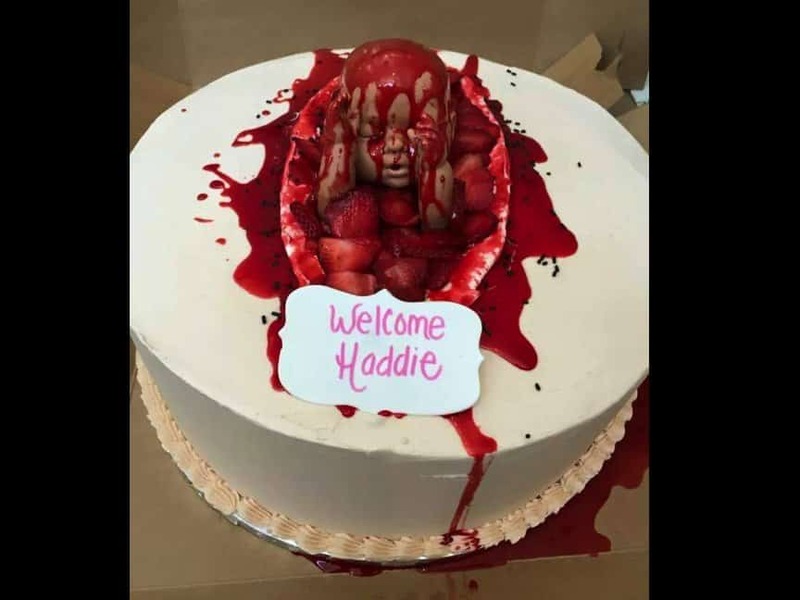 Not everyone likes eating cake, but that doesn’t mean you should go without a celebratory dessert on your baby shower day. 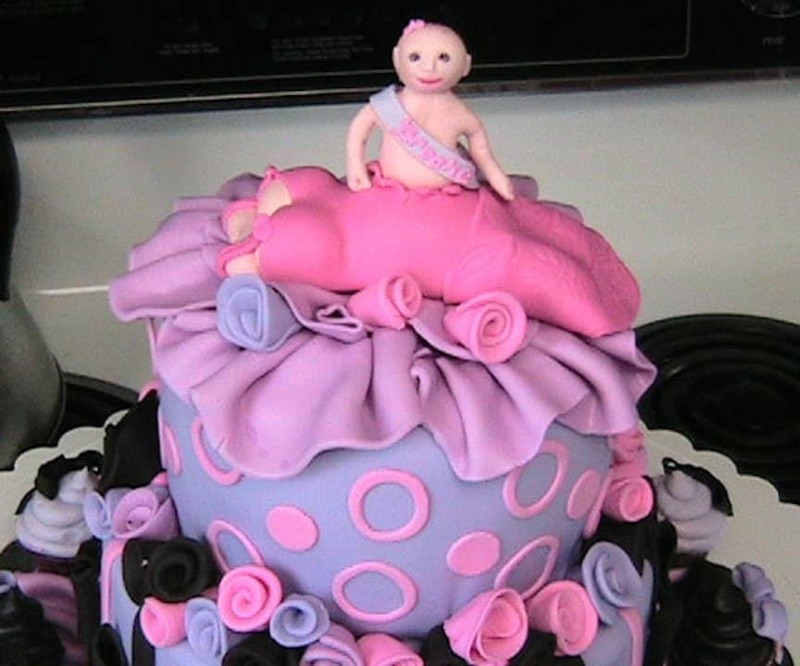 On the other hand, forgoing a cake doesn’t mean you should have to put up with this jelly monstrosity. The classic 1979 Ridley Scott film Alien is one of the greatest horror movies ever made. 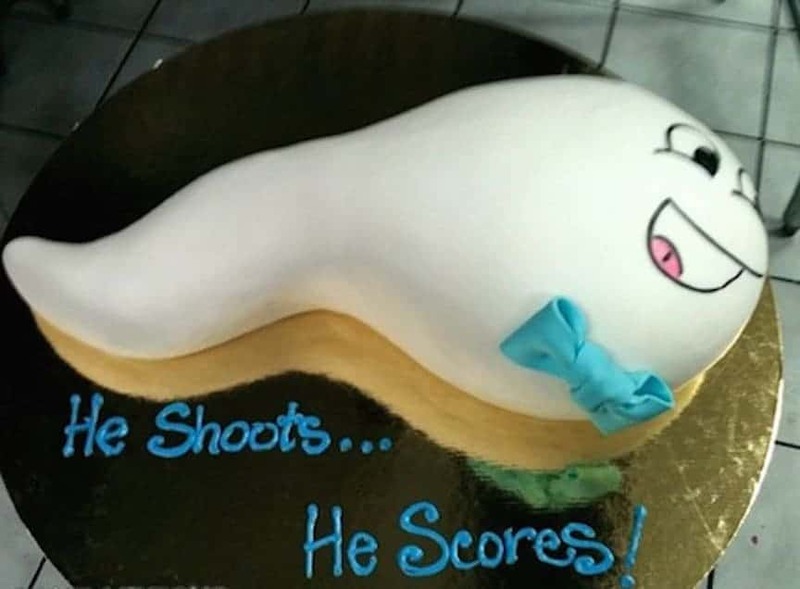 Even so, that doesn’t make it suitable material for a baby shower, even if the mother-to-be has a sick sense of humor. What a blessing, right? Twice as much to love! 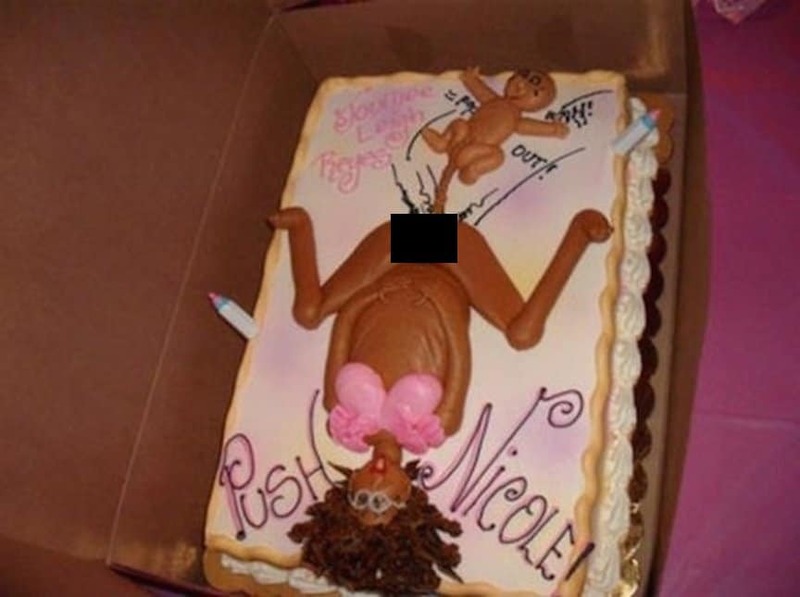 But this cake? Twice as much to be grossed out by – was it necessary to make it so bloody looking? 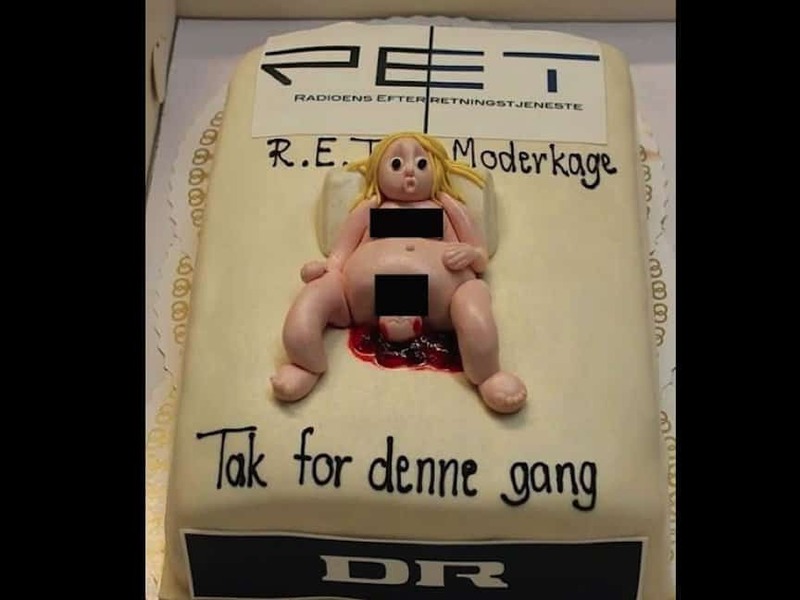 You probably don’t need to be told what this cake looks like, and even if you didn’t I wouldn’t write it here. It might still have been a bit funny if it weren’t for the disembodied doll head. This cake was very likely quite precious when it was still intact. 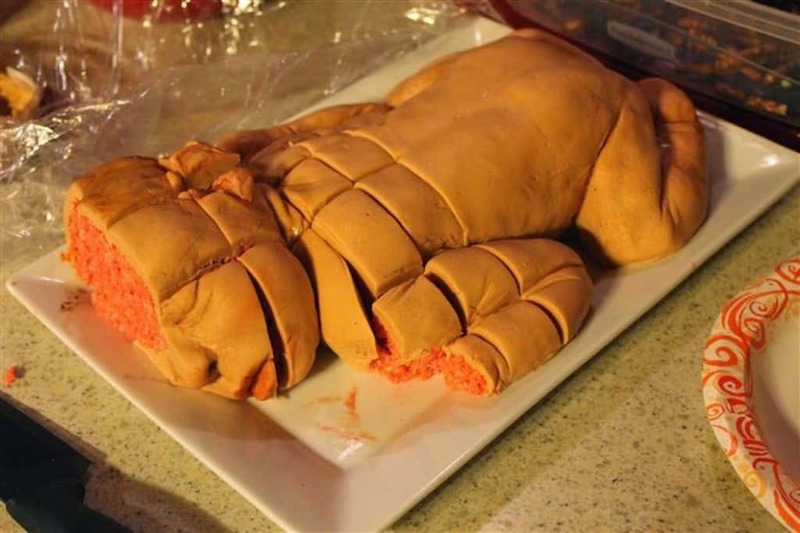 But then it got sliced up, and the inside just had to be pink and fleshy. 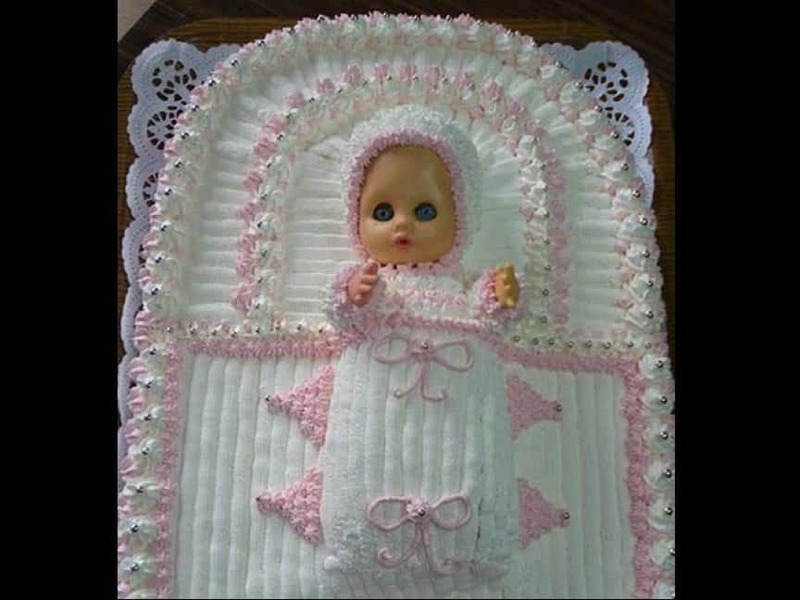 At first glance, this cake looks girly and adorable, filled with frills and floral colors. 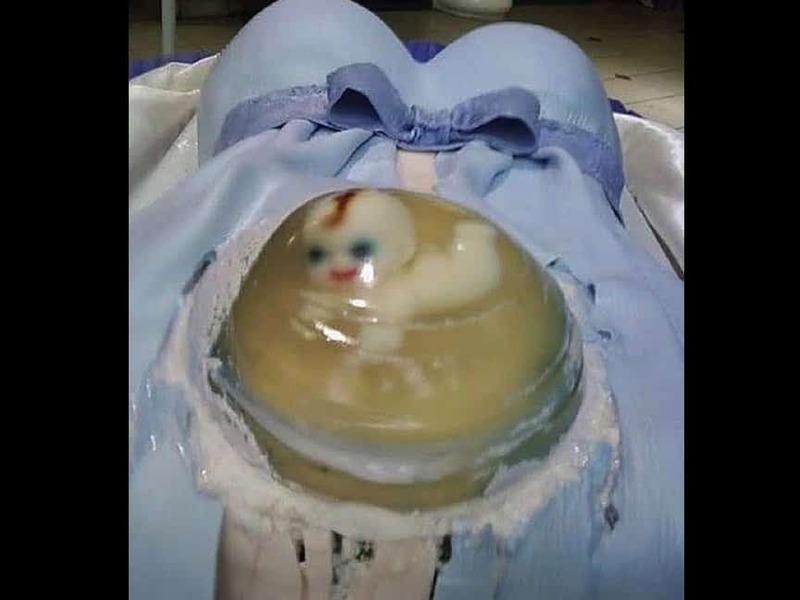 But then you look a little closer – a baby popping out of a headless, legless body isn’t actually that cute. 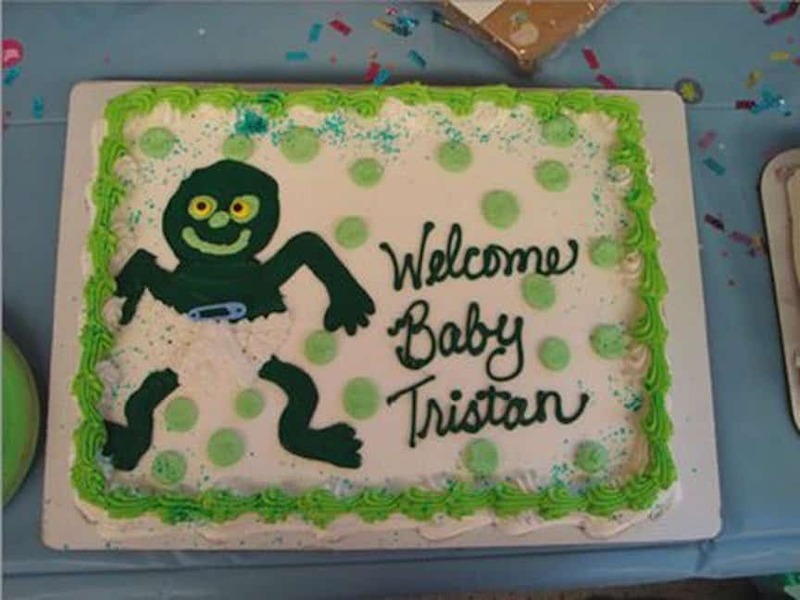 Tristan is such a lovely name and the child who bears it will likely be just as lovely. 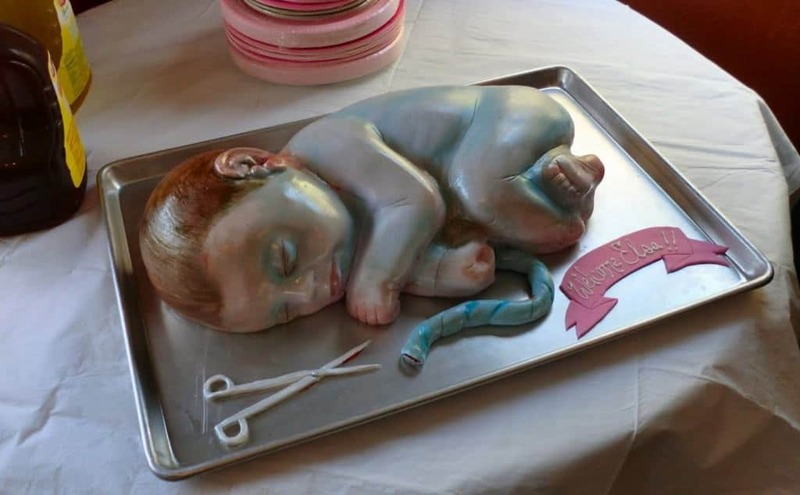 That makes it all the more unfortunate that he is depicted as a frog-child on his mother’s baby shower cake. 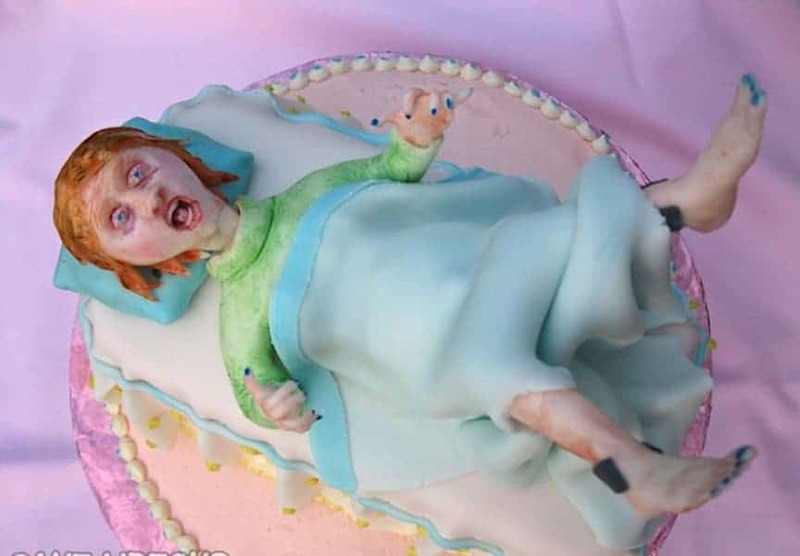 Looking at this cake, its pretty clear that its creepiness is the fault someone who doesn’t know how to work an airbrush properly. 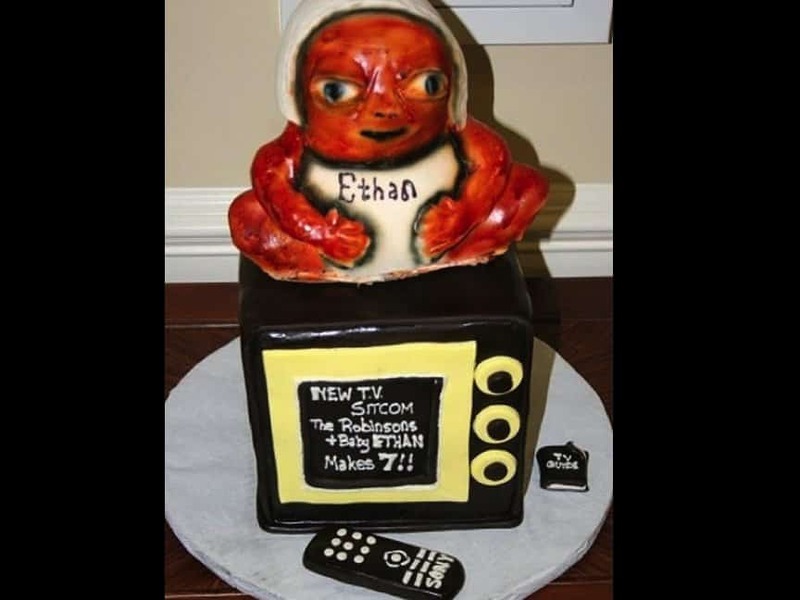 Still, poor little Ethan looks more like hell-spawn than a human baby. Before she goes in to have her baby, every woman is made aware of what she will experience. 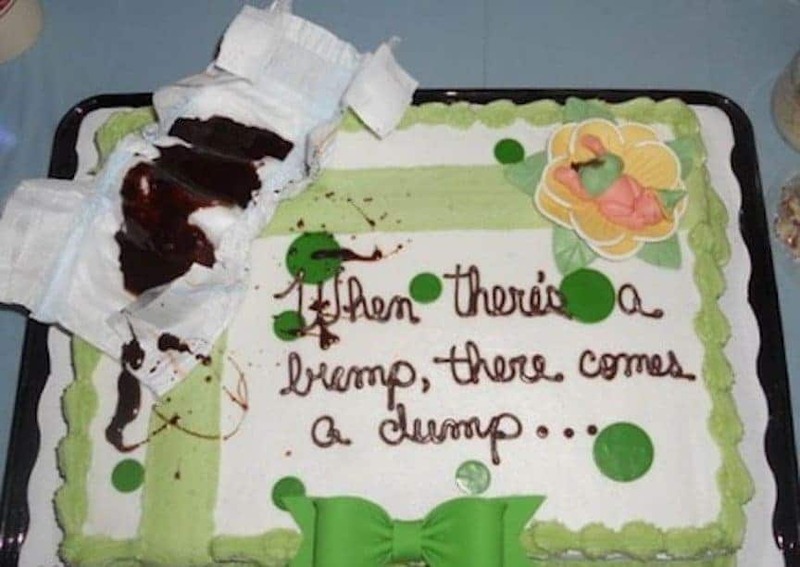 Note to baby shower guests – that doesn’t mean the mother-to-be needs to be reminded about her future pains on the top of her cake.